Smash-and-grab burglars struck a store in Chicago's Lincoln Park neighborhood for the third time in two weeks. 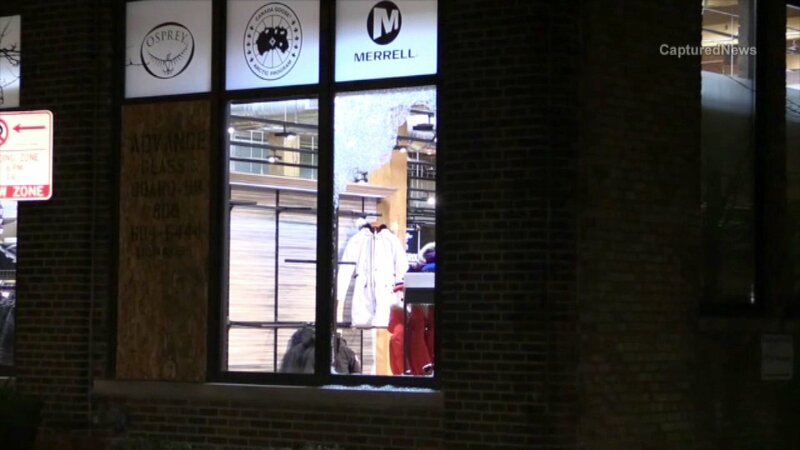 CHICAGO (WLS) -- Smash-and grab burglars struck an outdoor gear retailer in Chicago's Lincoln Park neighborhood for the third time in two weeks. Police responded just after 6 a.m. Wednesday to a report of a burglary Moosejaw, which is located at 1901 North Clybourn Avenue. Empty hangers and a winter jacket were lying on the ground outside the store. Officers said someone shattered a window to get inside. A large amount of merchandise was stolen. Investigators have not said how much the stolen merchandise was worth. Moosejaw was targeted by burglars twice before - on Christmas morning and on Dec. 16.